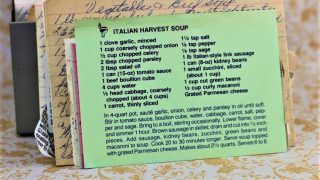 Front of the recipe card for Italian Harvest Soup. Back of the recipe card for Italian Harvest Soup. 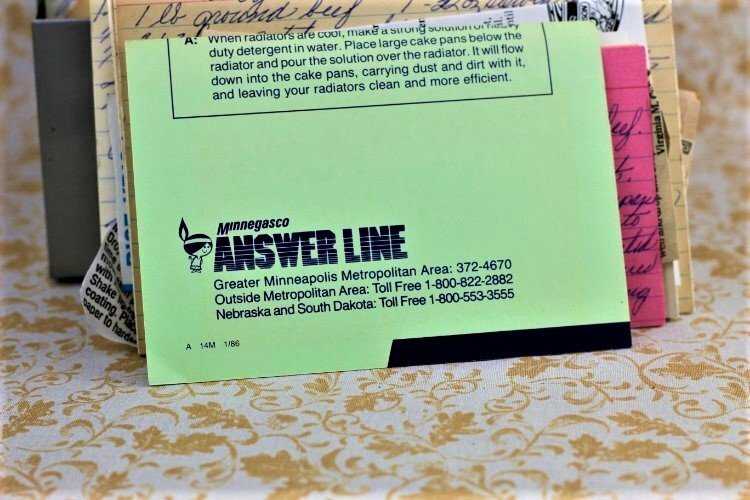 There are lots of fun recipes to read in the box this recipe for Italian Harvest Soup was with. Use the links below to view other recipes similar to this Italian Harvest Soup recipe. 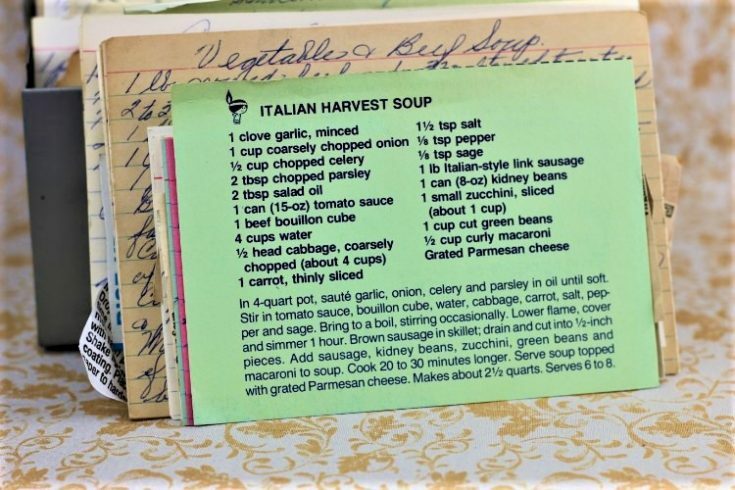 If you make this Italian Harvest Soup recipe, please share your photos and comments below! Yield: Makes about 2½ quarts. In 4-quart pot, saute garlic, onion, celery and parsley in oil until soft. Stir in tomato sauce, bouillon cube, water, cabbage, carrot, salt, pepper and sage. Bring to a boil, stirring occasionally. Lower flame, cover and simmer 1 houre. Brown sausage in skillet; drain and cut into ½-inch pieces. Add sausage, kidney beans, zucchini, green beans and macaroni to soup. Cook 20 to 30 minutes longer. Serve soup topped with grated Parmesan cheese.